So there we were, half of my ten person team was already on the other side of the river. The makeshift bridge we constructed from a telephone pole, fence posts, and a rope was getting more unsteady by the second. We had three minutes left for all members to reach the other side, or else we wouldn’t make it to exfil and the mission would fail. One by one, the remaining members climbed the tripod made of fence posts and scooted across the telephone pole to the other side. Chris, the team leader, tried to keep the lashing in place. With two people left, he was hugging the posts with all his might trying to keep them together. Then it was my turn. Halfway across the bridge, the tripod gave out. Chris yelled in frustration, and then fear, as the bridge collapsed with me on it. I hugged the pole with my hands and feet for dear life. But I still fell into the ravine below and died. My team did not make it to exfil, and we failed the mission. Lucky for me, this was training. Before I get going, go ahead down to the comments and tell a story about a time that you learned a lesson the hard way. I faced the Leadership Reaction Course three times during my military career. Once as a sophomore ROTC cadet, again as a newly minted second lieutenant, and finally as a mid-level captain. The goal of the course is to put a person in charge, give them a task to accomplish, and let them lead a ten-person team to figure it out. Think of it like a timed problem-solving event, but it has a physical component. Every time I did it, they upped the stakes with less time, more “rules” that trip you up, or other methods of trickery. It never got easier. After failing the exercise, the group gathered around and we began debriefing. The end result of our critique was that nobody really knew how to tie a proper tripod lashing. Sometimes, knowing the right knot at the right time makes all the difference in the world. After leaving the Air Force to become a tech sector corporate grunt, I thought a lot about the lessons I learned through my experiences. I lamented that a lot of the things I faced during training or operations just don’t happen in the civilian world, so most people will not be forced to grow in the same way. At about the same time, someone introduced me to the writings of Jack Donovan. As I read his book, The Way of Men, I saw the relationships between the things he said and my own career, both as a military officer and a civilian. I found myself nodding along with him more than not. Jack outlines four traits that he defines as The Tactical Virtues: Honor, Strength, Mastery, and Courage. I’m not going to rehash Jack’s writings since that’s not the point here. But I am going to put my spin on these four traits and relate them back to why I started The Everyday Marksman as a way to teach everyone the tactical skills I found so valuable while serving. I’m not terribly shy about saying that I think we, as gun owners and shooters, can do better. If you followed me on the old blog, you might remember I wrote several times my vision of a 2nd Amendment culture. First of all, it is a culture focused on excellence. Beyond that, it focuses on civic duty and personal improvement. The Everyday Marksman is my effort to build that vision. The mission of this site is to introduce people to a positive gun ownership culture, turn current gun owners into shooters, and to turn shooters into more capable citizens. This isn’t about tribalism or politics. It’s not about preparing for the zombie apocalypse, or whatever vision of a country without rule of law looks like. This site is about developing real and valuable tactical skills to live a better life. The Everyday Marksman is about celebrating our rights in a productive and positive way that supports our community and country. I’m going to discuss each of Jack’s four points as they relate to the kind of tactical skills we talk about here. They do. It’s just that the opinion they care about isn’t yours. If they truly didn’t care what anyone else thought, then nobody would work with them because of their crummy reputation. If my time in the military and developing tactical skills has taught me anything, it’s that you aren’t going to make it on your own. A tribe is one of the most important things you can have in life. Without a group of people to back you, then you are probably going to fail at your goals. It doesn’t matter if it’s your current career or the days or weeks following a terrible natural disaster. Maybe it’s a group to train with and bounce ideas off of. The context doesn’t matter, just don’t go at it alone. To build or join a tribe, you need honor. You need a reputation for being capable and trustworthy. The tribe expects that you are committed to whatever the goal of the tribe is, or else you aren’t all that useful to it. How do you build that? Why do tactical skills matter for this? I’m getting there. Strength is the ability to simultaneously exert force on the world, while also resisting forces the world pushes on you. This can, of course, look different depending on the circumstances. Strength could be physical fitness and the ability to move heavy things over distance. Or it could be mental strength, encompassing the ability to be resilient in the face of adversity. More importantly, being seen as strong when it comes to tactical skills is a bit of both. Strength in this context is about how others perceive you. 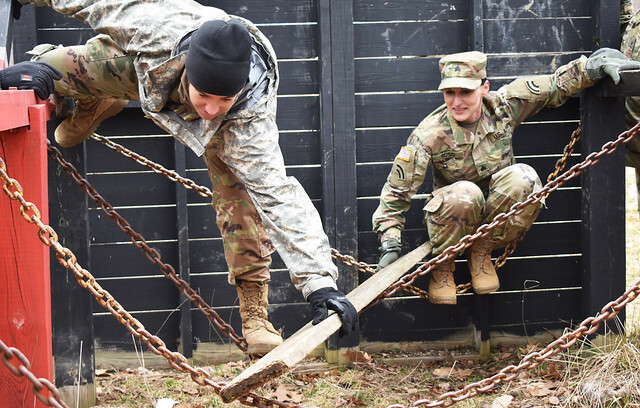 During another challenge on the Leadership Reaction Course, we had to get our ten-person team on the other side of an eight-foot wall. The twist was the six-foot pool of water between us and the base of the wall. You couldn’t touch the water, or you failed the mission. Our only supplies were a rounded beam 4” in diameter and a four-foot long piece of rope. Another guy and I held the log on our shoulders with the other end resting on the top of the wall. Each team member climbed up our backs and shimmied along the log until they reached the top. The problem was what to do when we came to the last guy, Mike. There was nobody left to hold the log for him. With almost no time left, we scooted one end back behind the wall a bit, looped the rope over it, and hung as many people as we could on it. Mike jumped out and tried to grab the log Ninja Warrior style. He nailed it, did a muscle up and got on top of the beam. Then he worked his way to the rest of the team. From that moment on, Mike was seen as the “strongest” member of the team. Several weeks later, he won the Top Graduate not only from our team but from over 300 officers attending the two-month leadership school. People are drawn to those they see as strong. Physical strength is the most obvious indicator. Think about the people you work with or those you encounter elsewhere on a daily basis. I bet that you probably offer just a tiny bit more respect to those you perceive as fit and strong. Those who appear weak or slovenly seem somehow less capable or respected. Strength helps you survive. Dr. Doug McGuff points out in his excellent book, Body by Science, that the stronger you are, the more likely you are to survive a terrible situation like a car crash or emergency surgery. In a tactical fight for your life kind of situation, fitness is nearly everything. The fitter you are, the more capable you are to employ the tactical skills you’ve developed and win. When it comes to your tribe, if you are seen as strong and capable, then the members of your team are more likely to trust that you have their backs. To put it another way, saying that you’ve got someone’s back is a very different thing than the other guy believing you’re capable of delivering. Do the latter. I’ve lost people close to me in heartbreakingly sad ways, which I’m not ready to talk about here. In the midst of it all, and the moments after, a lot of people asked how I was being so strong. They looked around the room at everyone who appeared broken, lost, and adrift in sadness. And there I was, standing quietly, making decisions, staying focused. They wanted to know how I did it. The thing is, I didn’t feel strong. My heart was broken, and I wanted to lash out. But the counselors and experts sent to help just kept wanting an answer. How did I keep going? The answer comes down to experience. All the hundreds of hours spent literally practicing for the end of the world were a factor. The immense pressure put on me and my teammates at times in the military were a factor. Repeated failure was also a factor. Through it all, the tactical skills I learned taught me to prioritize. We learned to set goals, make plans, and do what must be done. Quitting can’t happen because everyone else is relying on us. Hope is not a valid course of action. Like everyone else, I struggle with my own emotions at times. But, in hindsight, I credit a ton of my resilience to being intentionally challenged. I’m not saying this to toot my own horn, I’m telling you this because I want you to understand that challenging yourself is a part of growing stronger. Aside from real life tragedies and the trials of combat, I’m not sure of another way to better challenge yourself than competition with yourself or others. Learning tactical skills shows you your shortcomings, and then you develop the strength to overcome them. What do you know how to do? How helpful is it? All of us learn skills in life. We make careers out of them, use them to enhance our reputation and honor. We use them to survive. Or we waste time with them. When I started the first version of The Everyday Marksman on a free WordPress page, it was all about the skill of marksmanship. I wanted to write everything I could about the rifle and shooting it accurately. It began paying off as I placed in local matches, and got a lot out of attending training courses. I even got a medal for it from the Air Force (for whatever that’s worth, lol). But, as time went on, I realized there were so many other things that went into being a competent rifleman and citizen. Coming back to the story at the beginning of the article, my team failed because nobody knew how to tie the right knot. Thinking about it later, I realized that it is important to develop a well rounded tactical skill set. Not just as a shooter, but as a human. Pursuing mastery isn’t really becoming the master. The more you learn, the more you feel like you know nothing. It’s about the journey. With tactical skills, you must learn to enjoy the practice, the plateau, and gaining experience. There are a lot of benefits to this. When you practice for mastery, you develop better focus. You pay attention to the little details, like how your pulse affects your sights or how your trigger squeeze affected your shot. The hardest part of long-range precision is learning to read the wind through paying attention to the little details. If you learn to start a fire from scratch, you gain experience in spotting good and bad wood, suitable tinder and develop stronger knife skills. When you learn small unit tactics, you must learn to observe, make a decision, communicate, and act in a very short amount of time. These things can’t be learned in a book but through real experience. Sometimes that experience is hard, but the payoff is immeasurable. Courage, in this context, is the willingness to pit your strength and mastery against the outside world. When you do this as others shrink from it, it adds to your reputation and honor. It also increases the chance you will do it again. The more you do it, the more heroic you appear. Maybe it’s as simple as walking into your boss’s office asking for a raise. Perhaps it’s owning responsibility and consequences for something that’s gone wrong. Or, maybe it’s investigating that noise your girlfriend heard downstairs in the middle of the night. Even more, maybe it’s looking at your tribe of survivors, grabbing a rifle, and walking off into the dark to stand a cold and lonely post. The truth is that nobody really knows how they will react when the moment calls upon them. What we can do is challenge ourselves to grow. By gaining strength, mastering your tactical skills, and challenging yourself, you gain courage. Challenging yourself, especially in competition, starts with the willingness to swallow your pride. You may very well lose in this contest, but you also might win. What will you have learned from that? This is something I didn’t really appreciate when I was in the military. Military members are constantly judged against one another, with someone always coming out the winner. From things as obvious as marksmanship matches and land navigation to long-term career opportunities, it’s all a game. Some people end up making it to the top ranks, and others will be quietly shown the door. The thing I learned from this is that you just have to commit to it. Challenge yourself and win. Or lose. If you lose, then continue mastering your tactical skills, build your strength, and challenge yourself again until you win. If you opt out, as many seem to do these days, take the easy road of always relying on someone else while you criticize them from afar, then you are on the path to being a cold and timid soul that Teddy talked about. The tactical world is a wonderful place to do this. There are competitions and matches for almost anything. Want to test your marksmanship? Try out a high power or PRS match. Want to test your grit? 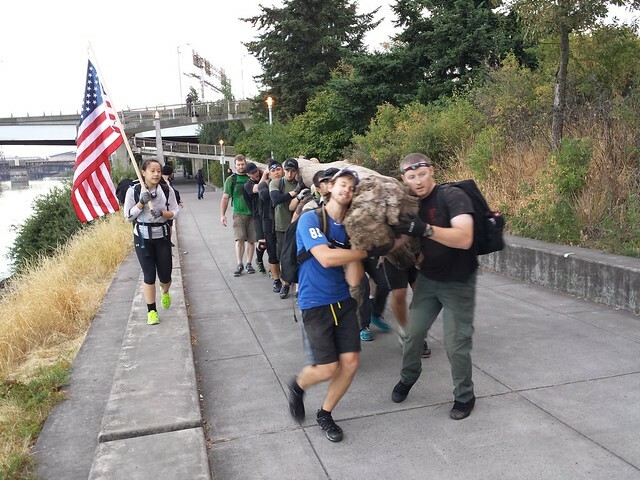 Sign up for a GoRuck event. Want to test your decision making? Sign up for a tactical force on force class and see how you stack up. The opportunity is there, and I want everyone to take it. I’m telling you all of this because I want to show you that learning military and tactical skills will improve your life. Adopting a mindset that pursues honor, strength, mastery, and courage has tangible benefits to your career, your relationships, and your own wellbeing. I’m also telling you this because I want you to be the best version of yourself. Even more, I want us all to build a better gun owning culture that values the tactical virtues as a matter of course. Now, it’s your turn. What’s a goal you’ve got for the next 30 days? 6 months? A year? Excellent article. You express a sentiment so lacking in our modern tech driven world. Reliance on yourself and self improvement is always better then reliance on gear and quick fixes. I have found in my faith, marriage, career, and parenting, the values of honor, strength, mastery, and courage are not always expressed the way I thought it would be, but are always needed and rewarded. I am inspired to challenge myself to continue to work on these disciplines, especially in competition. I am glad your site is not merely a review of prepping for WWIII but one of improving the culture of the gun owning community. I also appreciate your skill of breaking down issues so articulately. Keep up the good work! Matt, thank you for the kind words. I’m glad you’re inspired to keep up the challenge! Like I mentioned in the article, there really isn’t an endpoint to all of this. It’s a never-ending cycle of stress, growth, and evolution. The hard part for most people is being willing to step out and voluntarily experience that stress. Great article Matt! Challenging yourself is a necessity for growth of any kind. I love the connection you made between mastery and competition. By competing with others we work harder to be better and learn more. Leanne, thanks for reading! Putting yourself out there for competition is definitely one of the most difficult things you can do, but it’s so rewarding once you get over the hump. Thank for this post! Although I don’t come from a military background (I was hurt before I was able to start), my heart has always been there or in longing to serve. I’m acutely aware of the value of everything you listed above (probably doesn’t help that I’m too competitive for my own good and I do see everything as a competition 😉) in everyday life. Also, in our crazy world, being prepared mentally and physically to deal with whatever may come our way! Thanks again for this! Sarah, thanks for reading! Sorry to hear about your injury’s, hopefully you’ve recovered. I’m in the same boat as you with almost being too competitive at times. I’ve had to work hard at leaning to be selectively competitive. I love this so much! My husband and I aren’t military., but a lot of our family is/were. We all own guns and/or other weapons and practtuce regularly. We also try to keep our minds sharp in various ways, such as reading, cunning riddles, and different games. We practice self-containment. We also have a safe spot. My in-laws have a pond on their property that they rigged to supply the house water in case something ever happens to their current water system. They also have a generator. We try to camp and hike often to stay healthy and used to working around certain obstacles being in nature can bring. Any time my husband is out of town, he goes over where the guns are and how to load them, where the best places to hide are based on where I am, etc. It’s soo important to be prepared for anything and everything. Even if nothing happens, it gives you a security and confidence. And it definitely builds character. Ashley, thanks for stopping by! I’m glad to hear that you and your family out so much effort into preparedness. When you really start thinking about how to prepare yourself, you realize that it’s not an insurmountable task. All it takes is a little bit of discipline and planning, and the rest just kinda falls into place. What is Shooting Nose to Charging Handle, and Why?